The eggs on that worms back is that of a small wasp which feeds on the worm until it dies. They are parasites that keep the worm under control. 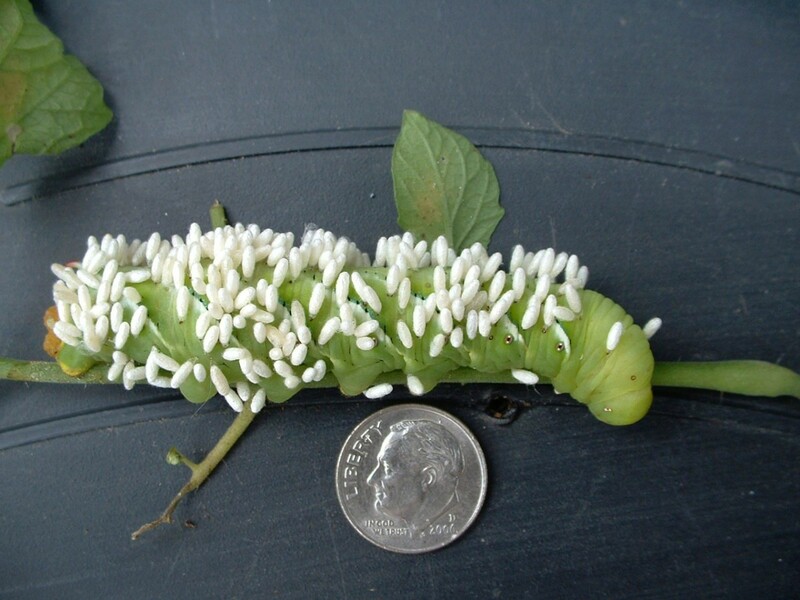 In Arkansas, we all it a tomato hornworm, and in spite of their bright color, they can hide very well on a tomato plant and strip it of lots of leaves in just one night. But granny is right. If you see one with the little white eggs attached, leave him be as he will soon be dead. But if you see leaf damage on your plants, try to find the culprits and remove them. Here it is a year and a half since you posted your feedback and I am just now seeing it. What you said causes mixed emotions in me. I like to be right. I like to be well informed. It sorta hurts when you are told what you believe is not true. On the other hand, it makes me feel good to learn more correct information. Thank you for setting me straight and for letting ThriftyFun members know what really is going on in the picture. I believe this is a tobacco hornworm. That's why I was wondering what it was doing on my tomatoes. It closely resembles the tomato hornworm. Jess has promised an amendment to this post. 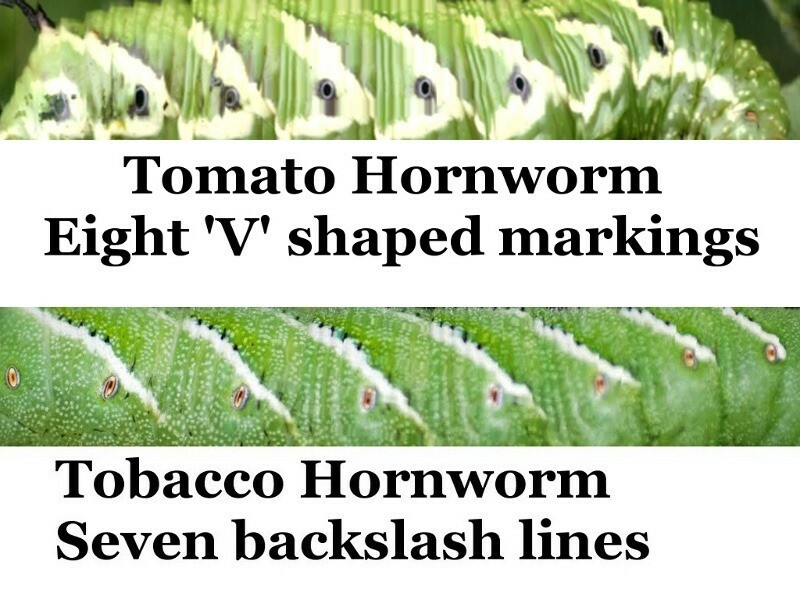 In that amendment, you can see how similar the two worms are.